Affinity Water are keen to see the implementation of an integrated approach to the control of metaldehyde in the catchments from which they abstract water, including the adoption of cultural controls and mitigation, as well product substitution. In this project, being undertaken for them, an integrated approach will be established on the basis of scientific evidence on the efficacy of particular activities (drawing on the analysis produced the University of Hertfordshire) and be detailed in Metaldehyde Action Plans (MAPs). These MAPs will be established on a farm-by-farm basis with support/engagement from Reading Agricultural Consultants (RAC) and the Loddon Farm Advice Project (LFAP - run through the Hampshire & Isle of Wight Wildlife Trust). Participating farmers will then be eligible to receive a 'Clean Water Bonus' payment, which is based on the 'Payment for Ecosystem Services' (PES) approach, meaning that should pre-set targets be met for metaldehyde concentrations in the study catchment, then payments will be made on a per hectare basis. 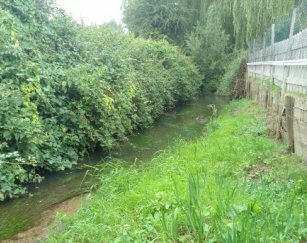 The project is being led by AECOM who are coordinating the work and developing the PES model, with support from UH, Reading Agricultural Consultants and the Loddon Farm Advice Project.